When eleven of them had made their promises, suddenly the thirteenth came in. She wished to avenge herself for not having been invited, and without greeting, or even looking at anyone, she cried with a loud voice, "The king`s daughter shall in her fifteenth year prick herself with a spindle, and fall down dead." And, without saying a word more, she turned round and left the room. "Good day, old mother," said the king`s daughter, "what are you doing there?" But round about the castle there began to grow a hedge of thorns, which every year became higher, and at last grew close up round the castle and all over it, so that there was nothing of it to be seen, not even the flag upon the roof. But the story of the beautiful sleeping Briar Rose, for so the princess was named, went about the country, so that from time to time kings` sons came and tried to get through the thorny hedge into the castle. But they found it impossible, for the thorns held fast together, as if they had hands, and the youths were caught in them, could not get loose again, and died a miserable death. After long, long years a king`s son came again to that country, and heard an old man talking about the thorn hedge, and that a castle was said to stand behind it in which a wonderfully beautiful princess, named Briar Rose, had been asleep for a hundred years, and that the king and queen and the whole court were asleep likewise. He had heard, too, from his grandfather, that many kings, sons had already come, and had tried to get through the thorny hedge, but they had remained sticking fast in it, and had died a pitiful death. 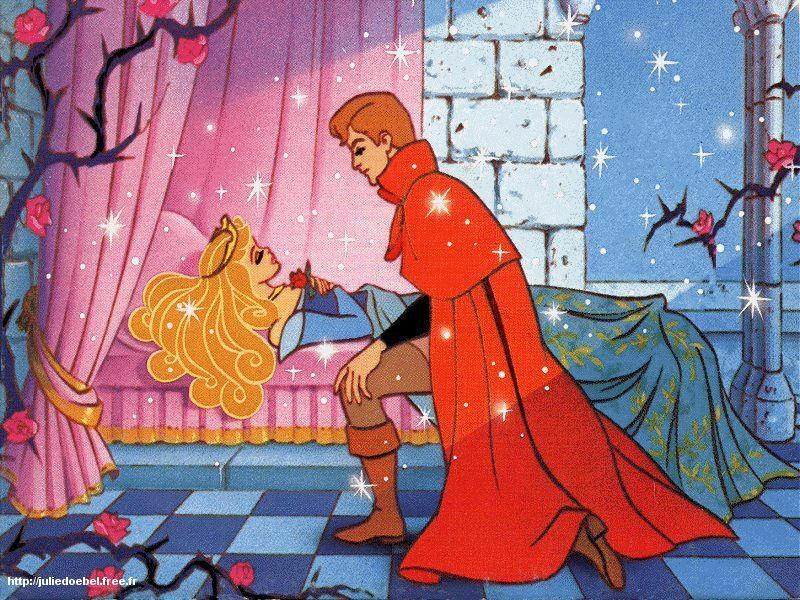 But by this time the hundred years had just passed, and the day had come when Briar Rose was to awake again. When the king`s son came near to the thorn hedge, it was nothing but large and beautiful flowers, which parted from each other of their own accord, and let him pass unhurt, then they closed again behind him like a hedge. In the castle yard he saw the horses and the spotted hounds lying asleep, on the roof sat the pigeons with their heads under their wings. And when he entered the house, the flies were asleep upon the wall, the cook in the kitchen was still holding out his hand to seize the boy, and the maid was sitting by the black hen which she was going to pluck. And then the marriage of the king`s son with Briar Rose was celebrated with all splendor, and they lived contented to the end of their days. • The hare was once boasting of his speed before the other animals.